about this book: What could Joule, a successful interior designer, and Allen, a homeless man, possibly have in common? Joule lives in a pristine loft in the warehouse district and owns a beautiful cabin overlooking a lake, and Allen, is…well, homeless. So what would compel a widow to take in this vagrant, offering him a home and a job? Shortly after Joule finally gets around to clearing out her husband's belongings, his coat reappears hanging off the shoulders of Allen, a man down on his luck. What transpires is a story of growth for two people who have let others choreograph their lives and how they come together in The Kitchen Dance to learn their own steps. Don't expect a sweet romance, this is a work of women's fiction, where, like a tree, pruning promotes healthy growth and fate proves to be a gardener. Readers will find bits of their own lives interwoven into this story, especially when they recall how their own lives took a turn in a different direction, like a dance. • "The author did an excellent job of developing a storyline that was both realistic and believable. It was full of plot twist that kept me reading and wondering what was going to happen next. I liked the fact it was fast paced and did not drag. This made for a great read." 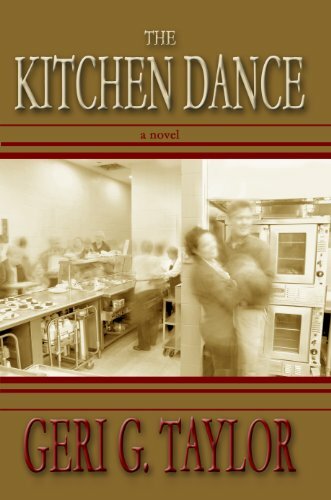 • "The Kitchen Dance is a love story that is unpredictable. There are plenty of twists and turns throughout the book. The characters reveal themselves in bits and pieces, which are cleverly twisted together. I can't wait until Geri's next book is published." • "Like with anything in life, a little bit of good can go a long way, but in any respect you also have the bad that comes along with it. I loved the flow of how ones past and indiscretions in life can come to haunt them as they try so desperately to weave a prosperous future. These issues are relatable, and fixed within the storyline so beautifully with a cast of characters you cant help but to embrace." I had this dream. I was living in a small apartment and this man showed up at my door. I didn't know the man, but I recognized the coat he was wearing and I was overcome with emotion. I suddenly woke up yet the emotional feeling stuck with me all day. Even now, when I think of that dream, I get that feeling of loss mixed with an overwhelming since of joy. I wanted so much to recreate that intense feeling…one that inspires us all to make something important happen! In The Kitchen Dance, Joule lets her emotions rule her judgment and her decision changed her life much in the same way writing and publishing this book has changed mine. Some may judge it negatively, but for those who found a moment of clarity, a reason to forgive, and a deeper understanding of their fellow man, then it was well worth the effort. This book tapped into all my emotions! Sad,happy&MAD. Made me cry,laugh&want to smack the villain!! Easy reading & I didn't want to put the book down!! Great job Geri. Video 2: A little bit about the author of the, "The Kitchen Dance"